Hannah G from the Bachelor spotted wearing Hidden Crown Hair at this years iHeart Radio Awards! 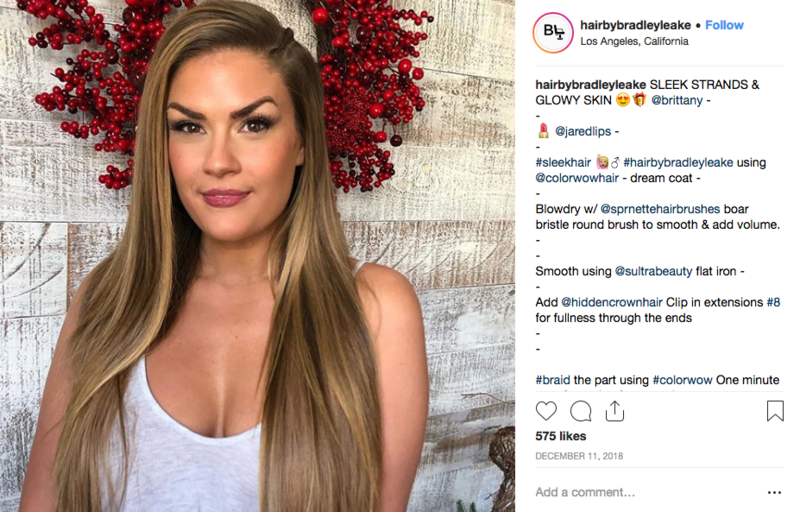 Bradley Leake gave this gorgeous love seeker, Hannah G from the Bachelor, a sleek pony with the help of Hidden Crown! You both nailed this look, QUEENS! 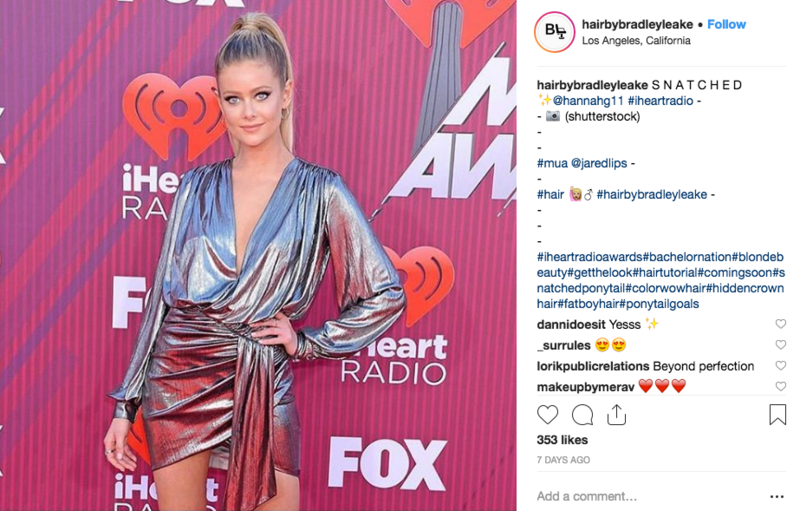 Hannah slayed the red carpet in this metallic short dress for the perfect edgy look. Want her look? Watch celebrity hairstylist, Bradley Leake create it HERE!